Born in 1983 in West Yorkshire, local artist Chloé Small now lives near Manchester. 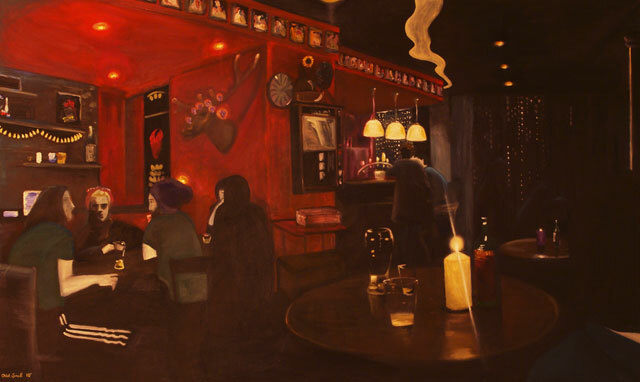 Chloé's work is influenced by the American artist Edward Hopper, whose style of scene painting, rooted in the presentation of the familiar and concrete ("Nighthawks" 1942), are echoed in Chloé's own work. Another influence is David Alfaro Siqueiros whose perspective on his mural work is where Chloé has developed her taste for the angles shown in her work. Chloé is drawn to aspects of Manchester's architecture which are representational of the Victorian to the 1950s period. In particular Chloé is attracted to the Art Deco style of the 1920s and 30s. Manchester Victoria Station has been a rich source of inspiration for Chloé and she is constantly looking for new aspects of Manchester to explore. 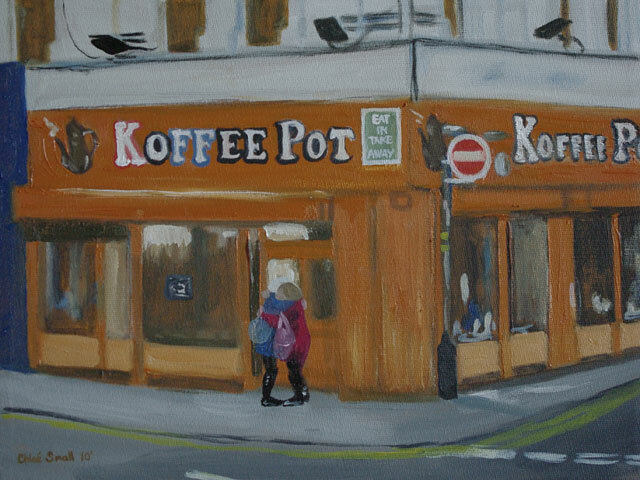 All content and images copyright © Chloe Small Paintings, 2009. You may not use any materials from this website without written permission from Chloe Small. Purchase my work on a mug, t-shirt and more at ArtyBuzz.